If you do not have Microsoft Access then please select this version. Simply create SWOT reports with one click. 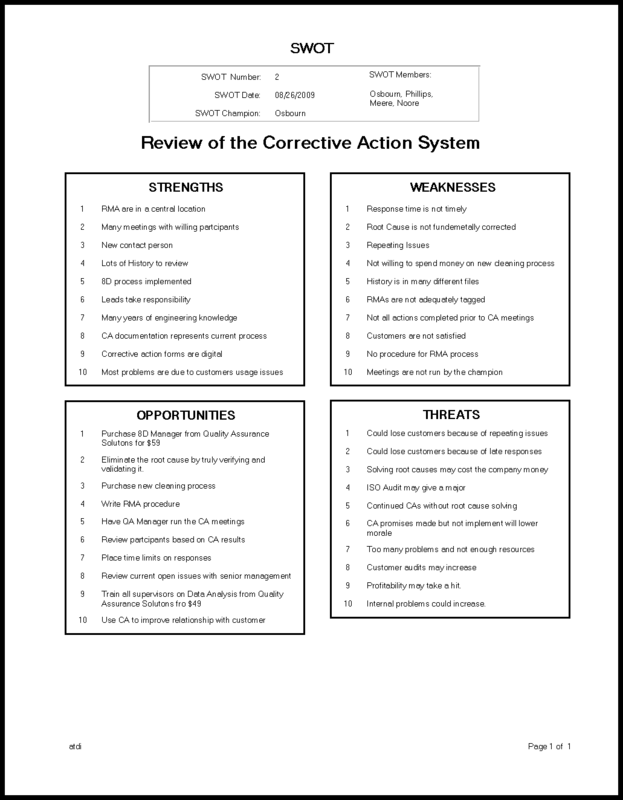 Keep, maintain and manage all of you SWOT reports in one central location. 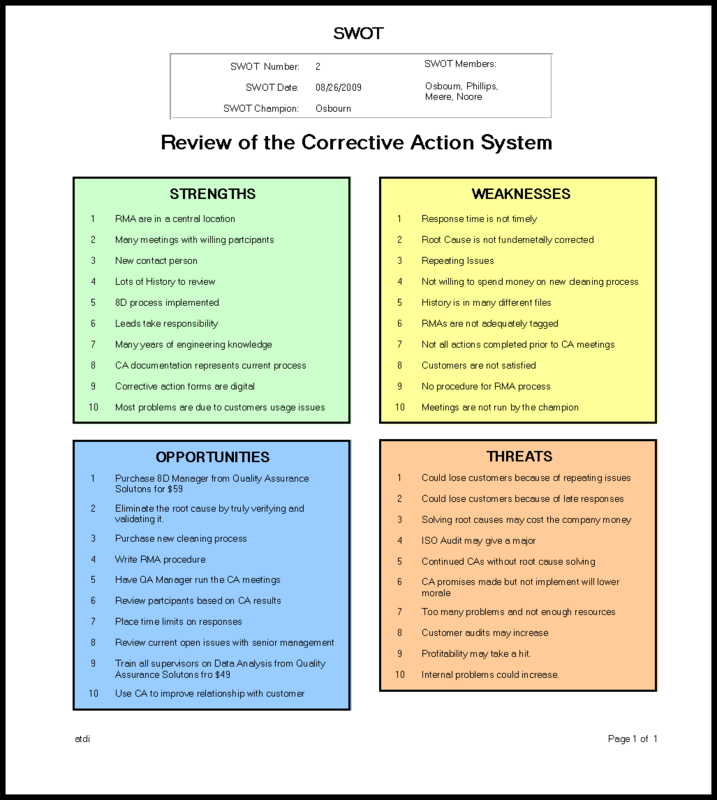 Choose from four different professional SWOT reports. 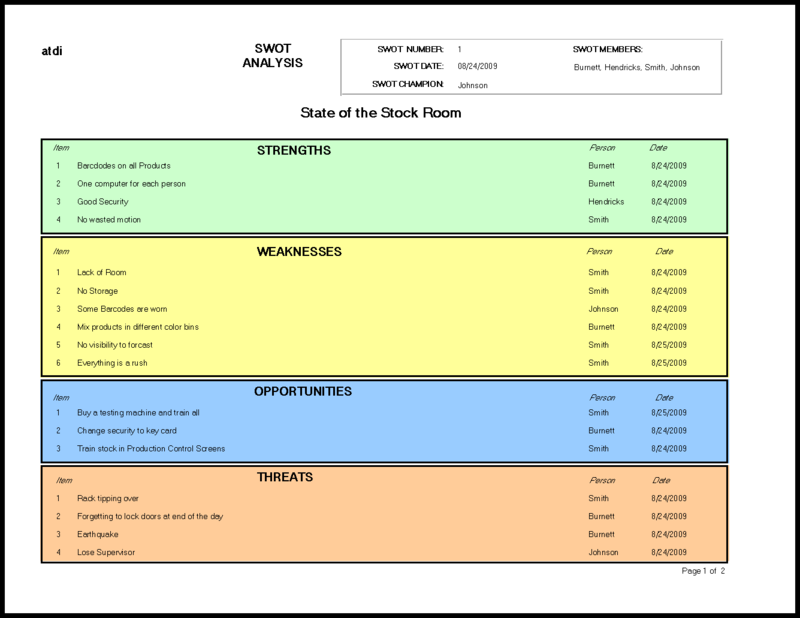 Standardize your company’s SWOT format. 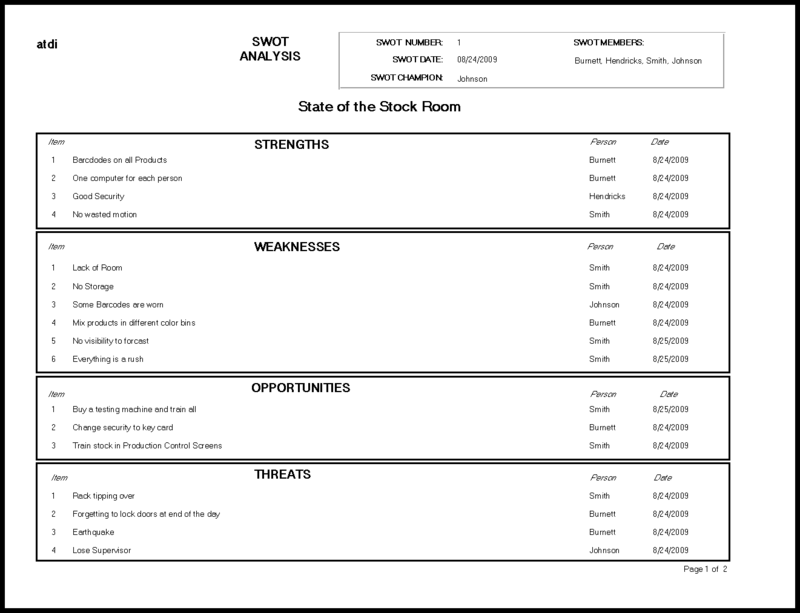 Quickly review old SWOT data and compare to new SWOT data. Quickly copy old SWOT reports to new SWOT reports and then easily edit. There are many drawing software solutions that let you create SWOT templates. With all of these programs, you spend unnecessary time formatting the SWOT template to fit your data. This includes learning the program, understanding the formatting properties and then taking the time to create the SWOT. The biggest problem with creating professional looking SWOTs is the formatting time. SWOT manager does this for you. 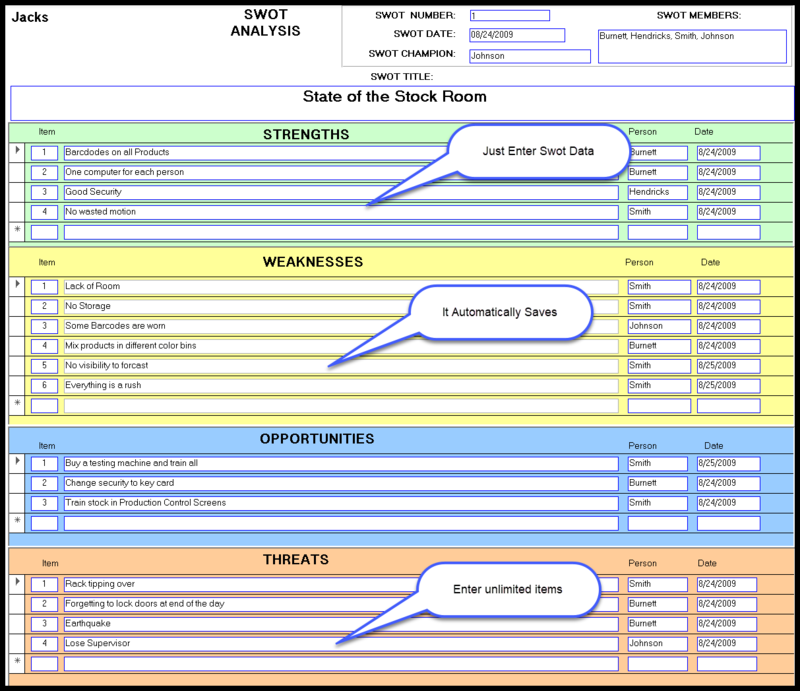 SWOT Manager is designed specifically for SWOTs. You don’t need to worry about formatting and no need to worry about creating SWOT templates. This software is so easy. 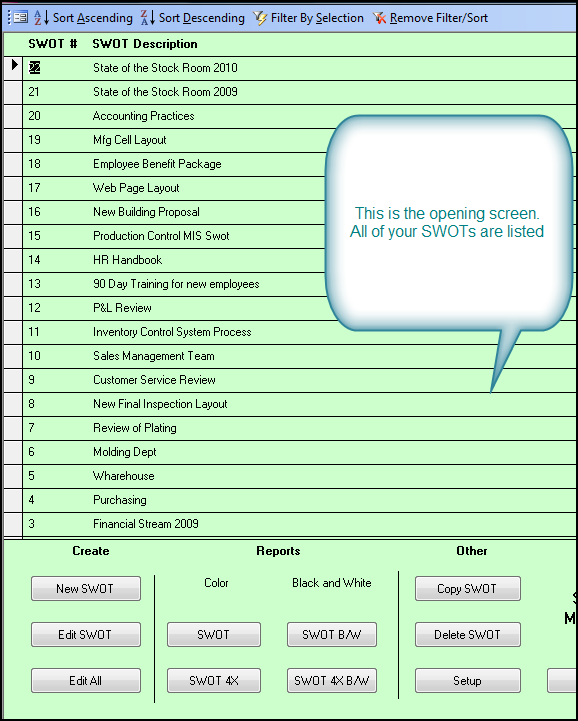 Just enter your data and click a button to create your SWOT report. You will be up and running in less than 10 minutes. SWOT Manager automatically saves as soon as you enter data. No concerns about constantly saving your work. In addition, SWOT Manager includes spell checking for easy editing. You may have multiple people at your company creating SWOT reports and SWOT templates. Most likely, each person selects a different approach to creating the SWOT model. This is a waste of time with unnecessary expenses. With SWOT Manager your company standardizes the format, and all SWOTS are assessable from within SWOT Manager. 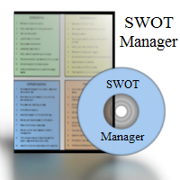 Place the file on your server and multiple people can input their SWOT data into SWOT Manager. Multiple people can access SWOT Manager at the same time. You pay no additional license fees for multiple users at your location. Your satisfaction is guaranteed. Within 30 days, if you are not satisfied with SWOT Manager, I will refund your money. SWOT Manager is only $49.